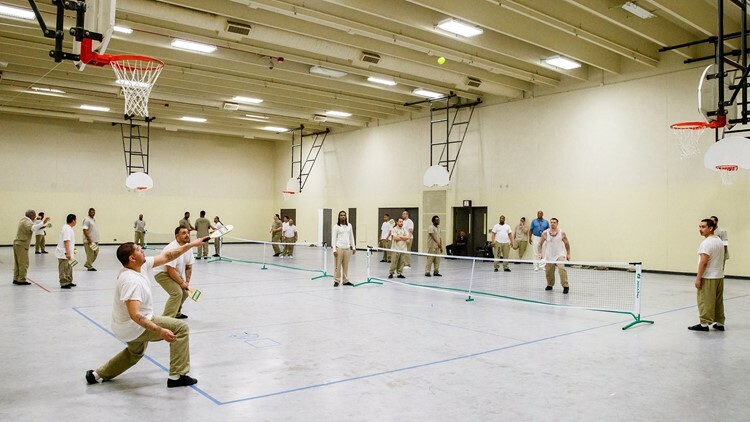 The sport that combines elements of tennis, badminton and ping pong is being played in elementary schools, community centers, country clubs and several jails. Ryan Ratliff writes his wife and two daughters twice a week, and lately has been trying to find a way to best explain the new game with a peculiar name he’s been playing as a prisoner in Division 10 of Cook County Jail. 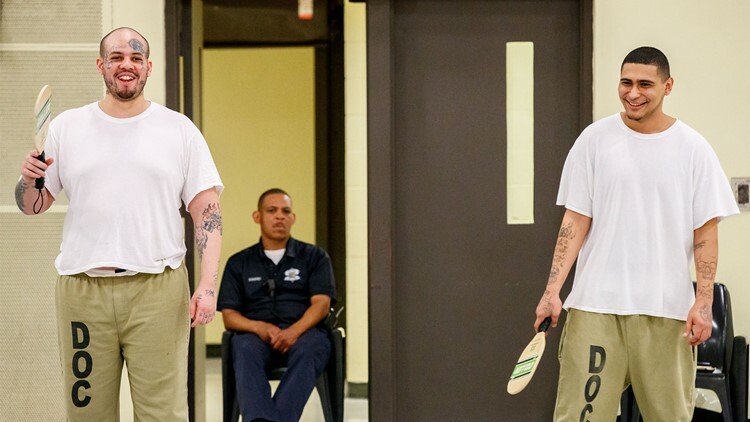 Inmates play pickleball at the Cook County Jail. 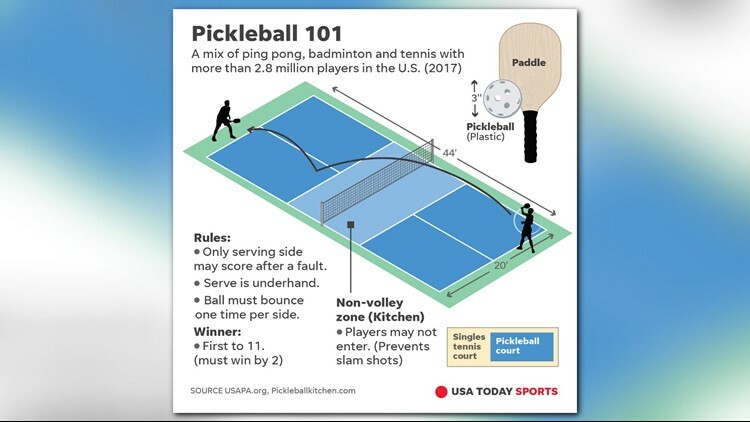 Pickleball combines elements of badminton, tennis, and table tennis. 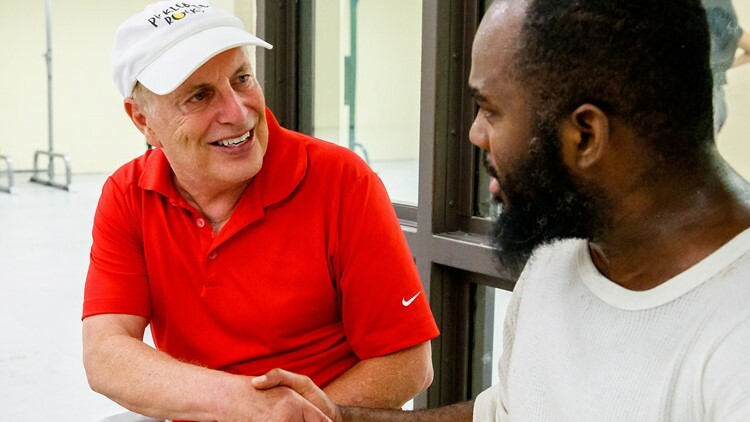 Pickleball instructor Roger BelAir (left) of Seattle greets inmate Clarence Dunner of Chicago during a pickleball match at the Cook County Jail.